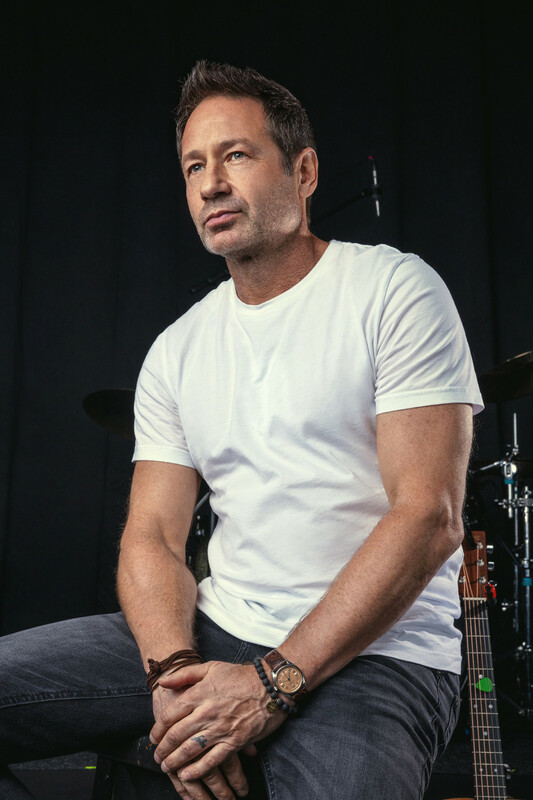 When we hear “David Duchovny”, we immediately imagine three things: aliens, a poster with the inscription I want to believe and, of course, sneakers . 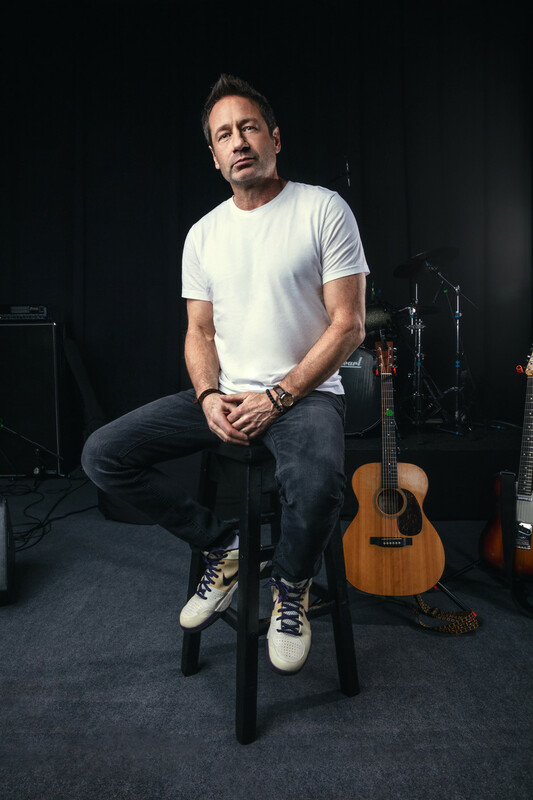 But the times of the “ X-Files ” and “Californication” are long gone: this winter, David came to Russia as part of a musical group to sing about love and hate. And not a word about aliens! This is your second visit to Moscow. Tell me, have you noticed any changes in the city since your first visit? I admit honestly, for the first time I spent nothing in Moscow, and now I didn’t come for long, so I didn’t notice any special changes. I can say one thing: your winter is already very cold. You recently posted a Stranger in the Sacred Heart video on YouTube. 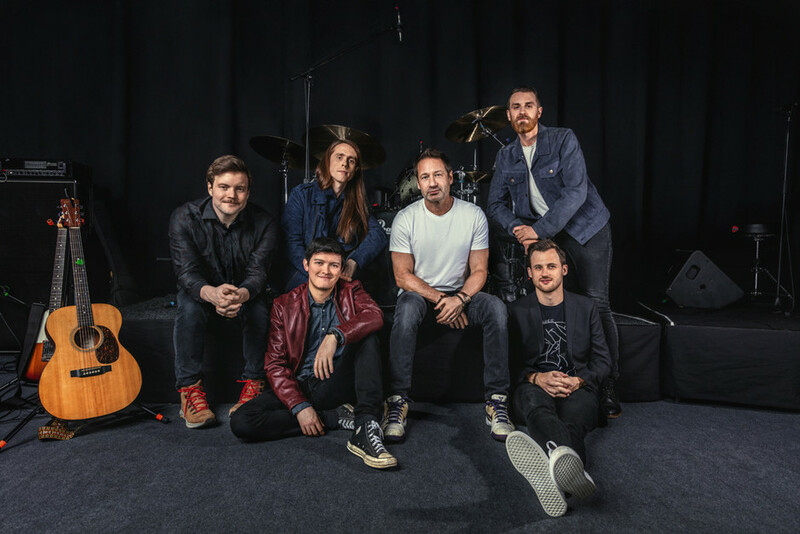 The video includes shots taken during a tour of Australia, while the song is about your experiences after the death of your father. And with what part of life do you associate a trip to Russia? Oh, that's a good question ( laughs ). My grandfather was a native of Kiev, and almost from birth I knew that our last name had Russian or Ukrainian roots. And my mother was a Polish girl, so many things connect me with Eastern Europe. But, I confess honestly, I am absolutely not familiar with those relatives who remained to live here; I don't know, maybe they left too. It would be funny if during the concert someone in the hall said: “Hi, I am your first nephew or cousin”. I would be glad to meet my relatives from Russia. I am not sure that the last name Duchovny is very common here or in Ukraine. Let's talk about your musical career. Most of your life you have devoted an acting career and everyone still perceives you as a TV series star. Was it scary to release the first album? Of course, scary! It was a completely new experience for me. Ten years ago I didn’t have my own band, I never recorded songs . Everything was new. However, I was already known and understood that because of this, the audience would judge me harshly. In their eyes, I was not a budding singer, like those who come to the show "Voice", I would not have shown indulgence. So I just decided to sing, and then how it will come out. You have two albums: Hell or Highwater and Every Third Thought, while the second is very different from the first. How did it happen if you call yourself a follower of the same style? My manager jokes that I worked all my life on the first album, and only a year on the second one. It can be said that songs written after Hell or Highwater are more complex, more like country music, although I do not consider myself a country singer. In addition, my voice has changed: if during the recording of the first album I still had doubts about my vocal data, then by the second I was already completely confident. We also changed the arrangement of the songs, because we understood in which direction we should develop. In short, I would call our second album more experimental. Once you said: “Rock and roll, blues and country music are live music, not a collection of rambling notes with a fancy electronic arrangement.” You do not like electronics? Well, I think any music is good. From time to time ( laughs ). I really respect, and you can even say, I love people who create music. But no one forces me to listen to everything. In general, I think that we all come from childhood: when we were little, we listened to rock and roll , funk, soul. In my childhood there was no electronic music, it appeared later and now it sounds different to me, not like for those who listened to it from the cradle. Therefore, I prefer to minimize listening to electronic music and techno ( laughs ). Now many stars, trying to draw attention to their creativity, shocked the public. What do you think of it? This story is not about me. I don’t know how others do it, and I don’t know how I could do it. I think I would definitely feel uncomfortable. My music should not be anything great at all, it should be just pure, coming from the heart. But, what to hide here, I would be glad if my songs became super popular and would mean for everyone as much as they mean for me and the guys. In a conversation with you, it is simply impossible not to recall the X-Files. If then, 25 years ago, you wrote the title music for the series, what would it be? ﻿﻿﻿25 years ago, I haven’t played the guitar yet, so I’m sure it would be really bad music, not as catchy as Mark Snow.